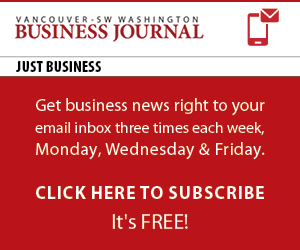 Valérie Berset-Price, owner of international business consulting firm Professional Passport, is the expert behind the Vancouver Business Journal’s advice column: Going Global: Business insight on an international scale. Due to important budget cuts within the government, the federal contracts we used to rely on for a third of our business have dried up. Two years ago we decided to go international with our products, thinking that it would be very easy for us to gain new customers. That has not been the case. We have made good contacts in Latin America, but our emails remain unanswered and communication is tedious. I am the controller of the company and am in charge of our international expansion. As such, I started learning Spanish a few months ago and will attend a trade show where lots of international buyers go. Is there anything else you would recommend we do to ensure international traction? Congratulations on your decision to sell your products internationally! That’s a big step! Most exporters will tell you that it takes up to five years to gain international traction, mainly due to the fact that people outside the United States don’t buy a product; they buy a relationship. And this takes time and money. My recommendation, if you’re serious about international expansion, is to put in place a true international structure to your business. If Latin America is a good potential market for you, I suggest you hire a salesperson who is perfectly bilingual as well as bicultural in Spanish and English to handle the project. That person will need to have a background in international business and connections in Latin America to be successful. While I commend you for learning Spanish, I regret to inform you that in a business context, the person handling the communication will have to be perfectly fluent in the language and, of course, cognizant of the cultural aspects required to build trust in the region. Starting from scratch as you are doing will greatly delay your success and may even prevent it entirely from happening. Before you hire that international salesperson, make sure to establish a healthy budget to ensure your new hire is able to perform. International travel will be mandatory, ahead of any contract or purchase order to be had, to establish the relationship. Make sure your directors are on board with your international structure and aware that international sales take time and money to develop. If your directors are not on board, impatience and frustration with the required investment will build up quickly, leading to the dissolution of your international endeavor. Assuming your product represents a good fit for the market you’re attempting to penetrate, international business is about commitment and the art of building trust across cultures. This requires specific skills that I recommend you hire out.